In a recent report, we detailed the tragic death of a young high school football player who passed away after suffering from a concussion and repeated head trauma. The story is a stark reminder that concussion protocols for young athletes need to be updated to keep young players healthy and safe. Now, researchers from the University of Calgary, along with other experts in the field, have drafted a document that will shape how concussions are recognized and treated. The International Consensus Statement on Concussion in Sport was created using the latest scientific evidence to give players and medical staff the best tools for handling concussions on a case-by-case basis. Already, several of the largest sporting organizations in the world -- including the International Ice Hockey Federation (IIHF) the International Olympic Committee (IOC), FIFA, World Rugby, and the International Federation for Equestrian Sports (FEI) -- have come out in support of it. “This consensus. . . will have a profound impact [on] diagnosing and treating sport-related concussions. While most people recover in the initial 10-14 day time period following injury, in some cases individuals may have symptoms that persist,” said Dr. Willem Meeuwisse, co-chair of the consensus conference and a sport medicine physician and epidemiologist. The consensus statement discusses at length how doctors and health professionals should care for athletes at various levels of competition – from children under the age of 12 all the way up to adult athletes. One of the most essential elements of the document centers on the “recognize and remove” concept, in which athletes who are suspected to have suffered a concussion are removed from competition immediately so that a comprehensive evaluation can take place. If a concussion is diagnosed on site, then medical personnel are advised to have the athlete re-assessed at a doctor’s office or emergency room where additional steps can be taken depending on the severity of the injury. The researchers say that determining a recovery time for concussions is difficult due to a variety of factors, but they do take special note of the importance of allowing athletes to not only recover physically, but neurologically as well. “[Time of recovery] determinations have been limited by lack of a gold standard as well as subjective symptom scores and imperfect clinical and NP testing. In addition, patients frequently experience more persistent symptoms, including, but not limited to, chronic migraines, anxiety, post-traumatic stress disorder (PTSD), attention problems and sleep dysfunction,” the statement reads. The document goes on to discuss multiple means of measuring physiological change, but the researchers agree that a more graduated return to activity is preferred. Below is a strategy that they believe athletes, coaches, and staff can employ to measure progress after an initial rest period of 24-48 hours. 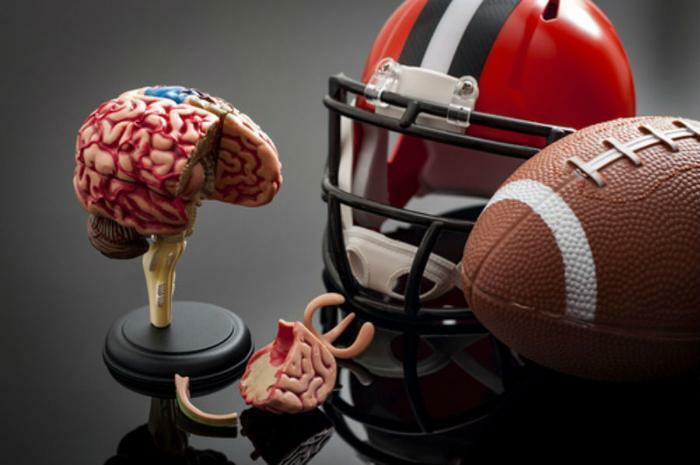 The researchers say that their model was created to provide the most up-to-date knowledge on how to treat sports-related concussions on every level, but incorporating new findings will be important going forward to help protect all athletes. “This document is first and foremost intended to inform clinical practice; however, it must be remembered that, while agreement exists on the principal messages conveyed by this document, the authors acknowledge that the science of concussion is incomplete and therefore management and return-to-play decisions lie largely in the realm of clinical judgement on an individualised basis,” the document concludes. The document can be viewed in full in two special editions of the British Journal of Sports Medicine.